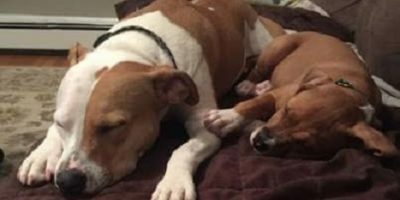 Loving Pup Has The Cutest Reunion With Orphan Puppy She Raised! 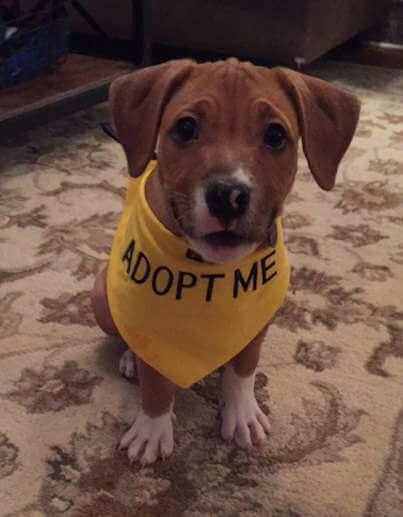 Charlie was just 2 months old when his previous family surrendered him to the Liberty Humane Society in 2015. 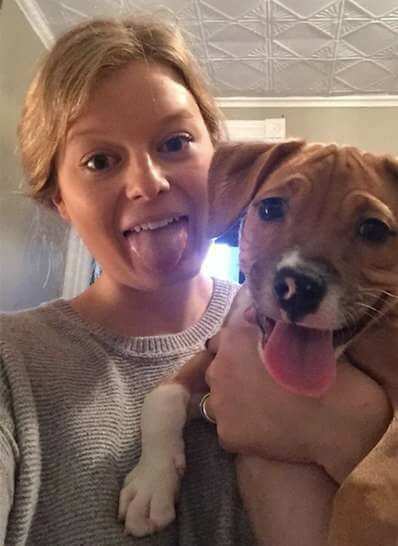 Kristina Helfer, a volunteer at the time, couldn’t believe anyone would give up such a sweet, love-starved puppy, so she decided to foster him. When Charlie got to Helfer’s home, he formed an immediate connection with someone – but it wasn’t Helfer. It was her own pup, Piper. Piper took on a maternal role and the pair became inseparable. Charlie would even try to nurse from her, suggesting he was ripped from his own mother too soon. Piper had never really cared too much for her foster siblings. But with Charlie, it was different – she truly loved him. With her love and care, Charlie slowly came out of his shell. His playful, excitable, smart personality was soon revealed. He was extremely hyper sometimes, but Piper was ridiculously patient and always tried to bring him back down to earth. 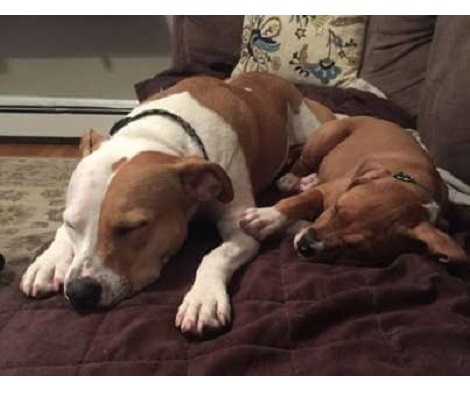 The pair would cuddle all the time, and in just a month, Charlie was a completely different pup. He was well-trained for his age and had learned a lot from his foster dog sibling. 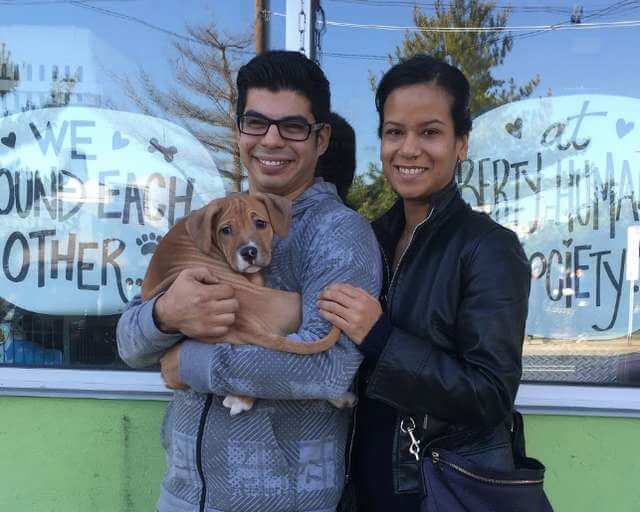 It was time to be adopted – and Charlie soon went on to a brand new forever home and received a new name – Riker. Helfer has fostered around 50 pups with Piper, one of which she decided to adopt herself: Frank, an anxious and huggable pit bull. 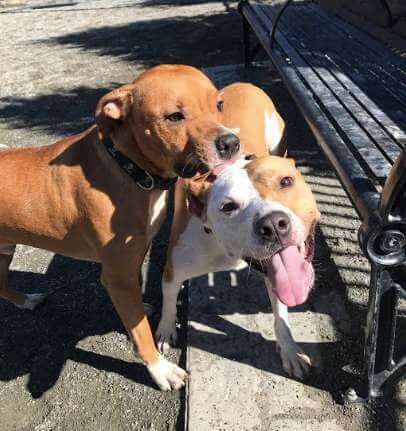 As the foster and adoption coordinator for New Jersey’s Wise Animal Rescue, Helfer and Piper help to determine animal compatibility, and Piper’s comforting behavior helps other pups relax. But of all the pups they’ve fostered together, Charlie has always been special. When meeting up with Charlie – now Riker – for a play date, Piper couldn’t contain her joy! Their bond is truly special, and their friendship is one both pups will always cherish. This Adorable Pup Is Busy Assessing Potential Threat In A BB8!